A violent feud explodes when two old high school friends reunite. Whenever we witness women brawling in movies it's usually portrayed in a far from realistic fashion, overly stylised, and indeed sexualised, with the signature move of female action heroines and villains usually involving grabbing their opponent between their thighs. Anyone who has found themselves in a city centre after closing time on the weekend can tell you that when women fight it's far from glamorous - it's downright brutal. 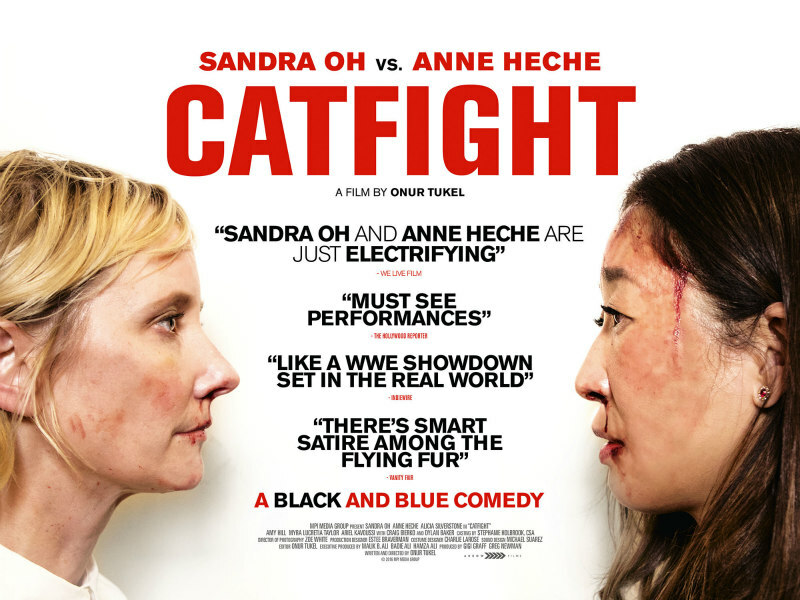 In director Onur Tukel's 'black and blue comedy' Catfight, Anne Heche and Sandra Oh beat the living daylights out of each other, several times, and with a ferocity that's genuinely shocking. Heche is Ashley, an artist forced to take a job working for her girlfriend Lisa's (Alicia Silverstone) catering outfit. Oh is Veronica, a snobby upper class housewife with a drinking problem. Both women are old high school friends, reunited at a party attended by Veronica and catered by Ashley. When their awkward small talk reminds them of how much they hate each other, the two begin to physically duke it out, beginning a violent feud that will continue for several years. Tukel's film is one of the sharpest commentaries on the culture war that continues to divide America and most of the western world to come along in recent times. When you first meet Ashley and Veronica, you'll likely immediately pick a side. If you're a liberal you'll no doubt sympathise with Ashley, the lesbian and struggling artist. Conservatives will probably have more time for the pragmatic Veronica, who discourages her son from following the arts, and whose husband's company profits from war in the Middle East. What's so admirable about Catfight is how it gradually picks apart our preconceptions as it reveals the individual character of each of its anti-heroines. Ashley is revealed as just as snobbish and elitist in her own way as Veronica, treating her adorable personal assistant (Ariel Kavoussi) with a disdain fuelled by jealousy that results in a scene that's far more disturbing than any of the movie's physical violence. Conversely, Veronica grows more sympathetic as her vulnerability is exposed and she retreats to the remnants of the Asian-American family she left behind to take her place among white New York society. Oh and Heche are two actresses we don't see enough of, and both are exceptional here, as is Silverstone, whose Lisa gives us an idea of how Clueless's Cher might have ended up had she continued on her narcissistic path. 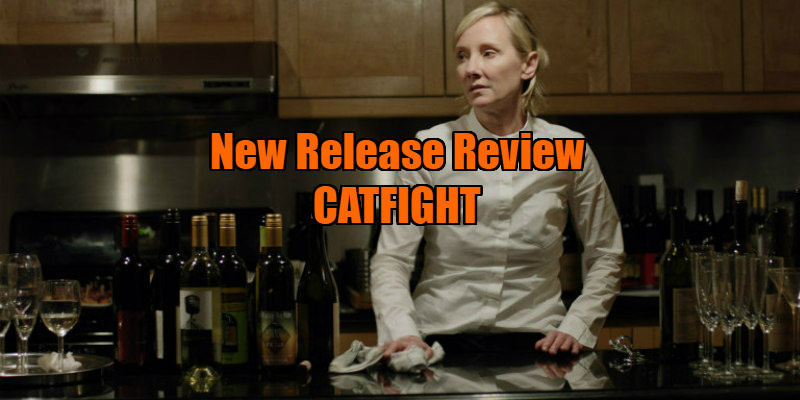 Often resembling a Todd Solondz movie with its acerbic and acidic tone, Catfight offers the sort of roles I imagine female stars would willingly fight over, and watching these 'nasty women' strut their stuff is both entertaining and thought-provoking. Catfight is in UK cinemas March 10th.